In order to check Sabio Academy’s e-Learning video lectures, do the following. Play the video that you want to check. 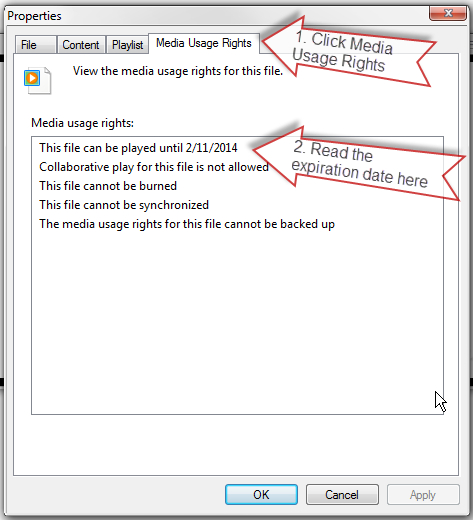 Then, inside Microsoft Media Player, click “File” menu. If you don’t see the menu, then press the “Alt” key on the left side first. Then follow the steps shown below. 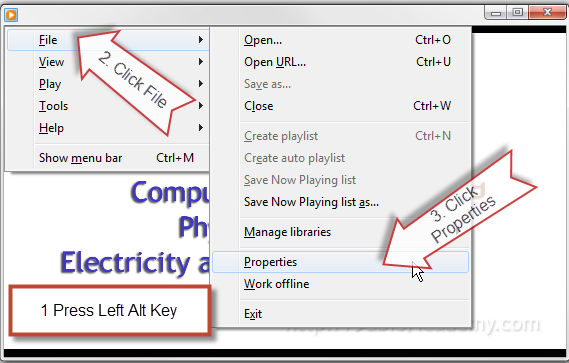 One the “Properties” window opens, then perform the following steps. You will be able to read the expiration date.